I got a real kick out of this challenge and looked into the designs of the 1930s. While there were many modern technologies at that time, (telephone, movies, home-made telescopes, talking dolls, trains and more) the home crafts were still very traditional. There were socks, booties, afghans, paintings, carpentry, and needlework. Interesting, but I wanted something with a bit more splash. Many of the flipbooks at the time were promotional items or something cartoonists would make on their own or to sell. Today, you can still find these old flipbooks on eBay or at antique shops. It's the perfect gift that blends old technologies with modern appliances. All you need is a video recorder**, a printer, and some leather and screws. You can see my flipbook video and learn how to make one yourself following the steps below. While my Flipbook was made for a Christmas present you can make one for any occasion. Video Editor Software. You can use a simple one like iMovie or QuickTime Pro or a more advanced one like Final Cut. Here, I used QuickTime Pro. 1. 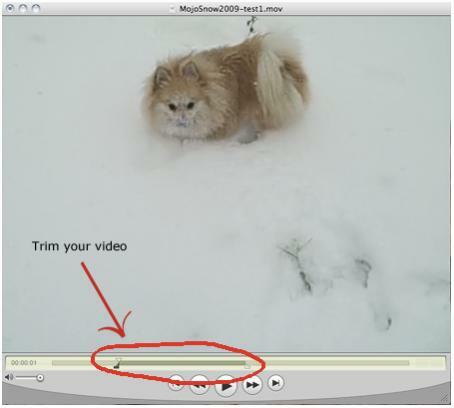 Open your digital video in your video editor software. 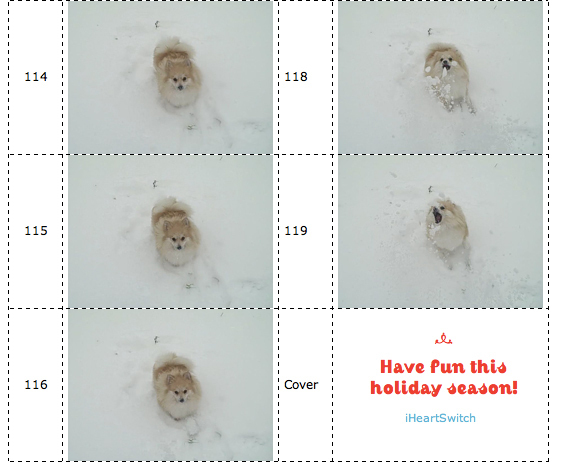 Find a 5 to 6-second section you would like to use for your flipbook. Following the directions of your editor, trim your video down to this selection. Make sure to save it as a new movie so you don’t loose your original. Note: You can do more or less frames per second; the amount of frames determines the thickness of your flipbook. The more frames per second, the more images you will have. 3. Use an image editor such as PhotoShop, Preview, or Paint and scale ALL of your images to be 3” wide and 2.25” high with a resolution of 120 dpi (dots per inch). If you want a high photo quality image, you need to set your resolution to 300 dpi when scaling your images. 4. Open the SWITCH Flipbook Word Template in Microsoft Word. Drag and drop all of your images in consecutively into the correct table cell (see image below). You should be able to fit 8 images per page, making a total of 15 pages. The leather binding will cover up the text and numbers. 6. Print the pages on your home printer. 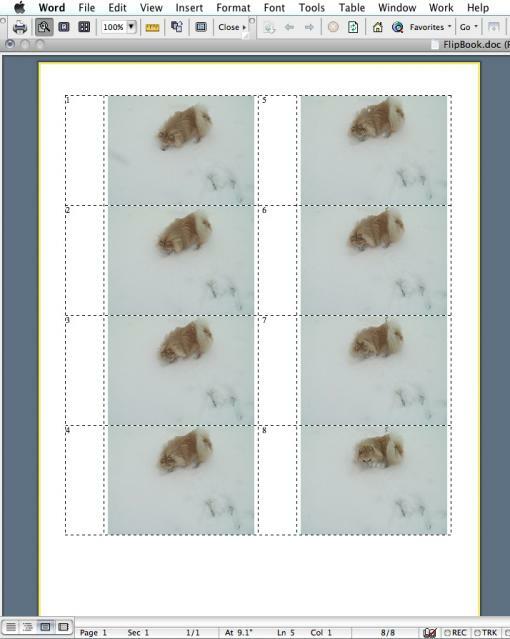 Set the quality to best and use a thick card stock or photo paper. 7. Using an X-Acto knife and a straight edge, cut out the pages along the dotted lines. Remember, the numbers and text in the cell to the left of the image will be covered up with the leather binding later, so don’t worry about it right now. 8. 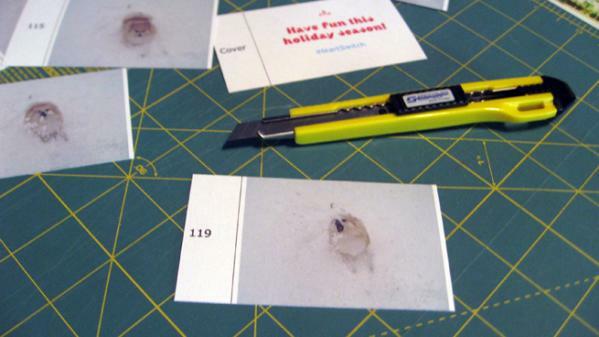 Using a three-hole punch, move one of the punches over to adjust the spacing to fit your flipbook. Center two holes on the numbered side of your cut pages. 9. Stack all your cards together lining up the holes. Wrap a piece of leather around the top and bottom and glue into place. Cut any excess leather so it’s a nice fit. 10. Using your X-Acto Knife, punch holes in the top and bottom of the leather directly over the holes in the cards. 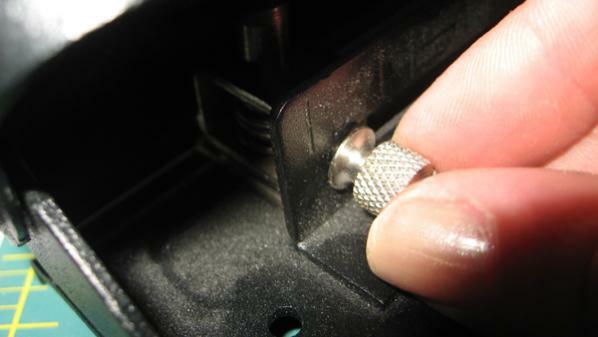 Put the bolt through and tighten down the nut on the back side. **If you do not have a video recorder, see if you can set up your digital camera has a consecutive photos option. If so, you will not need to export your images and you’ll already have them! Sorry this is so late. I've been recovering from being really sick over the holidays. After a week in bed and some good food and family love. I am up and feeling better!